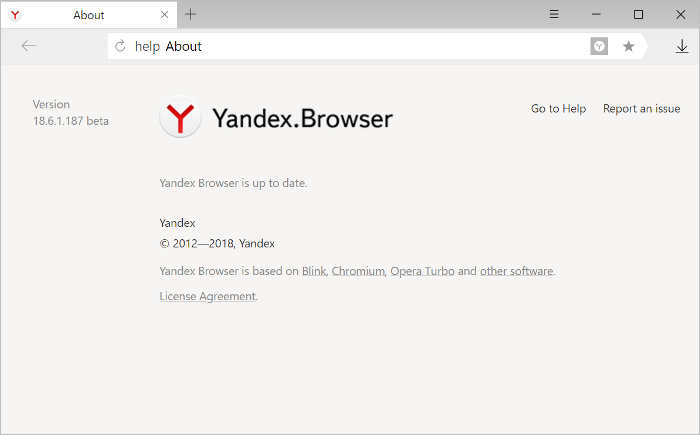 If you run into problems while working with the browser and you can't find solutions in the Help articles, you can get help from the Yandex Support service. Click → Advanced → Report problem. Open a new Feedback tab. Start filling in the Issue description field. As you type your text, you will see tips on solving common problems under the box. If none of the tips help, please describe your problem in detail. A step-by-step description of what you did before you got the browser error. Text of the error message displayed. Type of computer (PC, laptop, tablet), CPU, RAM. Screenshot of the error message screen. Note. By default, the message has an attached link and screenshot of the page that you were on when you clicked Feedback. If necessary, you can attach a different file or not attach any screenshot at all. Your error report will be supplemented with information about the operating system and Yandex Browser on your computer. Note. The statistics are sent anonymously. You don't need to worry about your data privacy. Send usage statistics to Yandex. 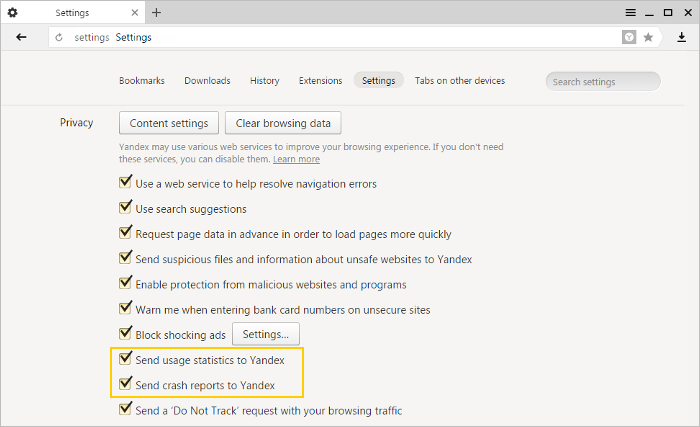 Send crash reports to Yandex. To find out what version of the browser you're using, click → Advanced → About or go to the SmartBox and type in browser://version.